A Man and his Music – William Price King meets Nat King Cole – The Finale. 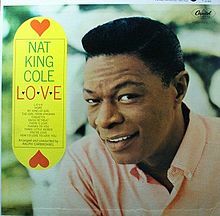 In part four of the series A Man and his Music with William Price King we relive the final years of the short life of Nat King Cole. Although Nat was only 45 when he died he had performed for over 30 years and had been a huge influence on the music of the time. His influence was not restricted to the world of music as he gained the respect of Presidents and statesmen as he campaigned for racial equality in all walks of life.